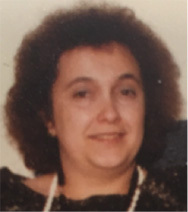 Rochefort, Sandra J., 69, passed Friday at Landmark Medical Center, in Woonsocket. Born in Providence, a daughter of the late Joseph and Frances (Soscia) Agresti, she was a lifelong resident of Rhode Island. Sandra worked for several jewelry firms in her lifetime. She leaves a son James Rochefort, two daughters Cheryl and Michele Rochefort all of Pascoag, a brother, Frank Agresti of West Warwick, 2 grandchildren, Ashley Craig and Bridget Payton and 4great grandchildren, Kaden Litton, Niah and Leo Craig and Millie Payton. She was great grandmother of Myah Dumas. Funeral service Friday at 10:00am in the Stapleton Family Funeral Home, 684 Park Avenue, Cranston. Visit cranstonfuneral.com for directions.